If you follow me on Instagram, you have heard me talk about Zoe's freckles more than once. See I don't have cute freckles. I have a husband with cute freckles and a best friend with cute freckles, but I just have random freckles/beauty marks/moles. I've always wanted freckles sprinkled ever so perfectly just on the bridge of my nose. Thankfully, because of her father and his cute freckles, Zoe has inherited the perfect amount. 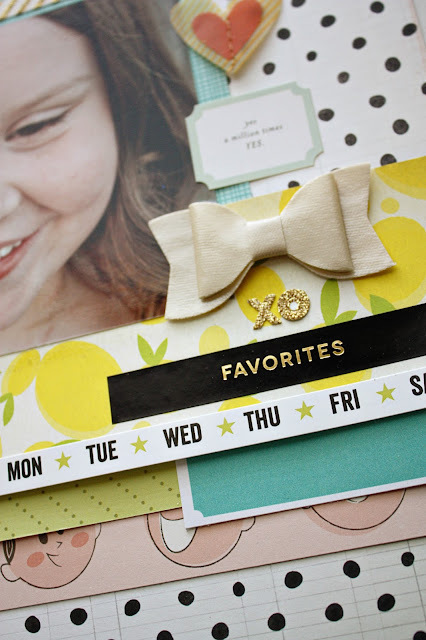 When I say down to scrapbook this picture, I pulled out some of my favorite things. Some of them I have been saving for years and some of them have recently popped into my stash. Guys, I'm not saying that any of these elements really go together, but I am saying that I love how this page turned out. There was really no rhyme or reason to this page, just lots of moving things around, gluing them down, ripping them off, then moving them around again. 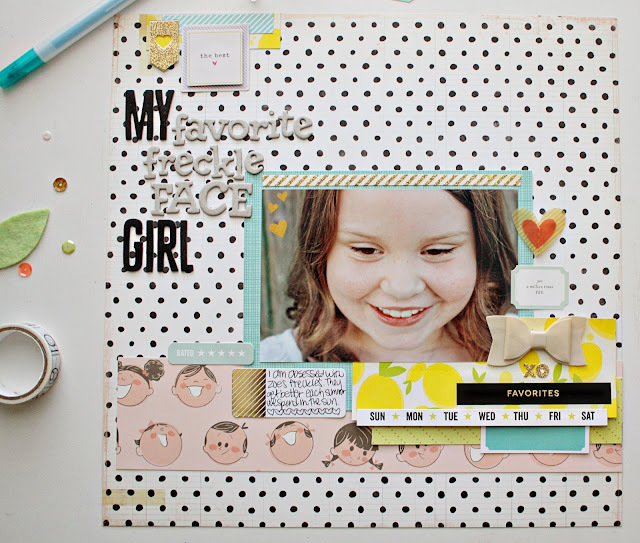 It's a hodge podge and proof of why I think kits can be such a great place to start when scrapbooking. I no longer subscribe to any kit clubs, but that's because I have so many supplies from years of subscribing. I miss it though. I found kits so easy to work with. I remember when I first started using them, it was hard for me to get over the idea that everything had to match and be from the same line of products. I do still use products all from the same line, but I think manufacturers and designers have more diverse products in each line than they used to. And by used to, I'm talking like 2009-ish. As I've been cleaning up my craft room, I've been working on organizing my layouts into different albums. I have gone back through oodles of pages and some of my favorites about about seemingly unimportant things, like freckles. 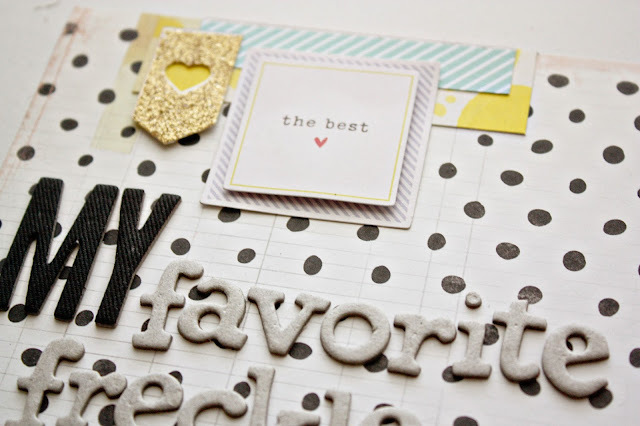 But that is what I love about scrapbooking. Documenting ordinary things that are of value to me. Each page like this I make is like a mini love letter to my favorite parts about Zoe. I hope when she gets older that she sees them as such.